One coach and a 659 mile flight later and Team UK has finally landed in Gothenburg ready to go for gold at EuroSkills 2016. The 22-strong team set out around 11am this morning from a Holiday Inn hotel in central London where they stayed overnight following a parliamentary send-off event yesterday. Robert Halfon, the apprenticeships and skills minister had given them an inspiring message that they are helping to “change the prestige and national culture” of apprenticeships, and after each picking up an enamel the team were fully pumped for the journey ahead. Led by their trusty team leaders, Team UK took an hour’s coach trip to London Heathrow airport. 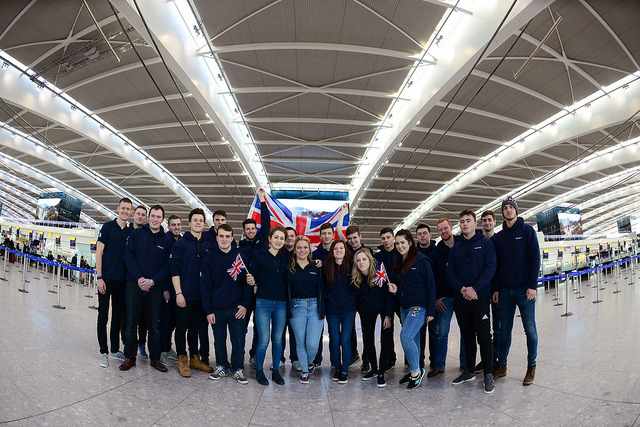 The team’s chemistry was evident from the get-go and no more so than when they got to pose for the traditional airport photo with the British flag. “The banter has been flowing on the coach and doing our team chant so it has been great so far,” said hair dressing competitor Lucy Knight, aged 21. Things then got even more exciting as some of the team spotted legendary sprinter Usain Bolt walking past airport security, but in true Bolt fashion he was too fast and was on a plane before the team could get a photo with him. All aboard then and the team jetted off to Gothenburg on their British Airway’s flight. Two hours later and we land in a literally freezing Sweden, but the temperature wasn’t going to dampen the team’s spirits. 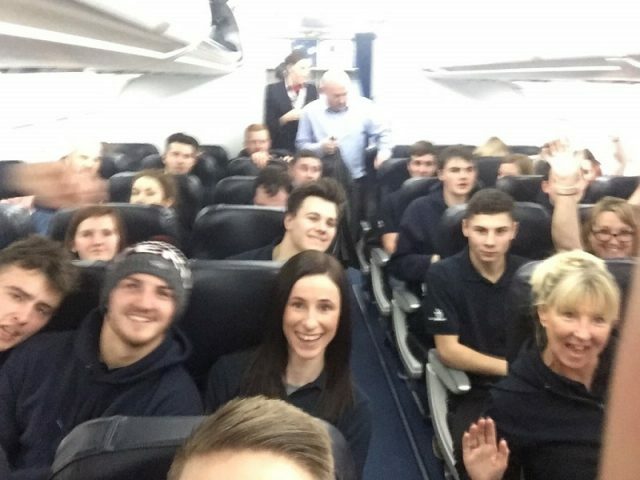 “Travelling out as a team just shows how united we are,” said joinery competitors Conor Willmott, aged 21. Now checked into their hotel’s the team are getting in the zone ready for the opening ceremony tomorrow night. Follow @FEWeek on twitter for live updates.